Description Bonnie and her best friends are trying their luck in Bollywood. But they need new looks so they can fit in, Choose for each of them a new make-up, hairstyle and outfit. 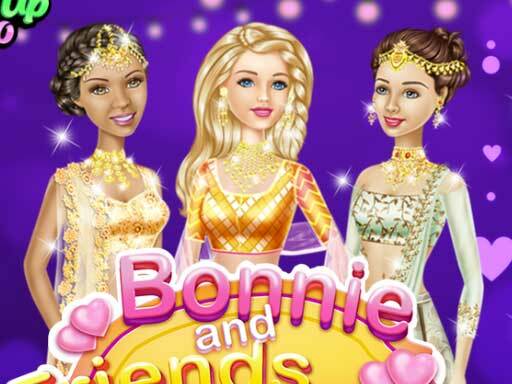 For Bonnie choose a pink and yellow make-up and insist with the blush, a twisted tail on the side and dress her up with a pastel pink crop top and skirt with ruffles, both with flower embroidery and some golden jewelry on her head and around her neck.